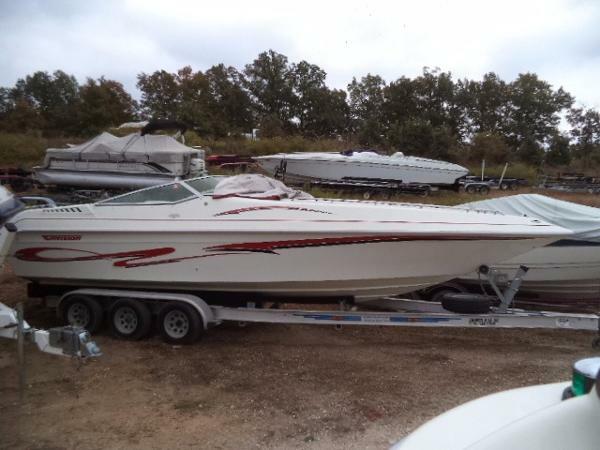 Seller reports that this boat has only been run in freshwater and reports that it's in good condition. He's not aware of anything that would need to be repaired or replaced. 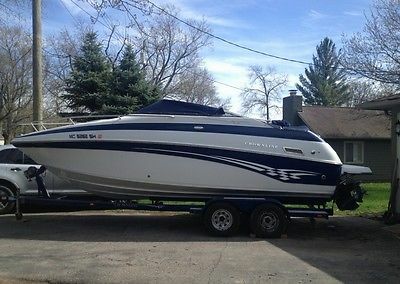 Seller does not have time to use the boat and would like to see it go to someone who can enjoy it. 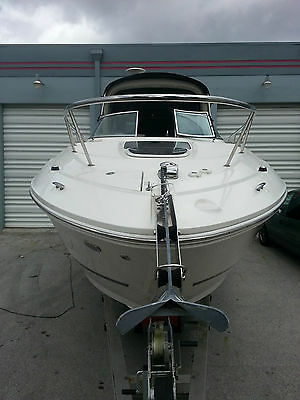 Stock #137488 Powered by a V8 Mercruiser!!! FRESHWATER USE!! 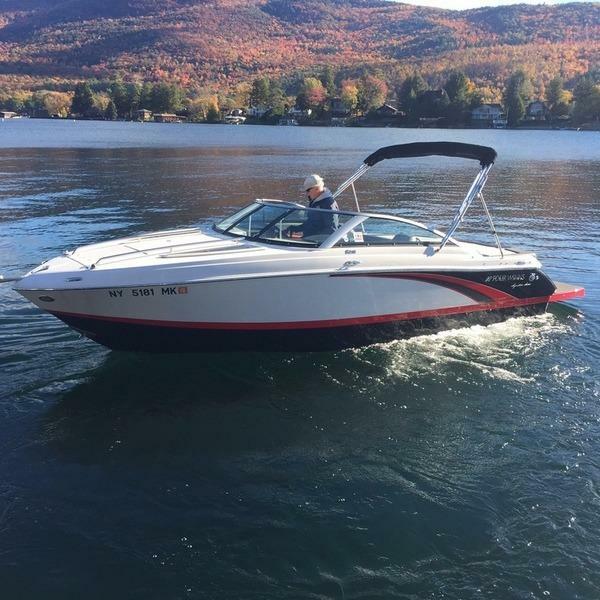 If you are in the market for a cuddy cabin, look no further than this 1998 Rinker 212 Festiva Cuddy, just reduced to $15,000 (offers encouraged). 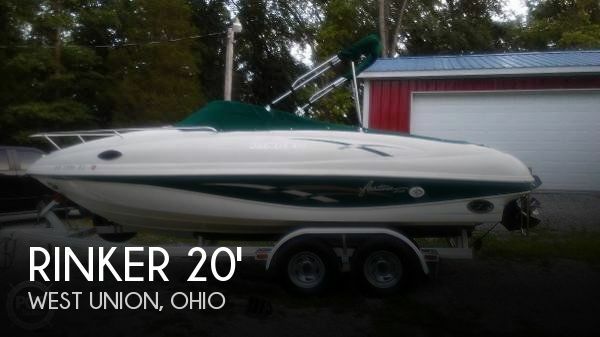 This boat is located in West Union, Ohio and is in good condition. She is also equipped with a Mercruiser engine. Just listed! Fighting lady yellow hull color. Current Survey available. Twin Raymarine 12' color screens with radar and a VHF radio. Air conditioner and even a bow thruster (inoperable). She has outriggers, spotlight, sun lounge for the bow, and the factory weather curtain set and also console and seat covers. She is loaded with every option available and even has the polished stainless anchor. Twin Mercury Verado 300's with digital shift and throttle.This boat has black bottom paint.Take all of the fish-fighting capabilities, reliable ruggedness and performance of the 320 Outrage, combine it with the comfort of a luxurious cuddy cabin, and you've got an all-around fishing yacht / cruiser that is unparalleled in its class. In the 320 Outrage Cuddy Cabin, you will find the space and amenities you need to enjoy overnighting, take a break from the sun and just make more of a weekend. Dimensions LOA: 32 ft 2 in Beam: 10 ft 2 in Maximum Draft: 1 ft 10 in Bridge Clearance: 9 ft 10 in Deadrise: 23 ° at Transom Freeboard: 2 ft 4 in Dry Weight: 9500 lbs Max Load Capacity: 4300 lbs Engines Engine 1: Engine Brand: Mercury Engine Model: CXXL DTS Verado FourStroke Engine Type: Outboard 4S Engine/Fuel Type: Gas/Petrol Engine Power: 300 HP Engine 2: Engine Brand: Mercury Engine Model: CXXL DTS Verado FourStroke Engine Type: Outboard 4S Engine/Fuel Type: Gas/Petrol Engine Power: 300 HP Tanks Fresh Water Tanks: 1 (40 Gallons) Fuel Tanks: 2 (150 Gallons) Holding Tanks: 1 Accommodations Number of double berths: 1 Number of cabins: 1 Number of heads: 1 Seating Capacity: 14 Electrical Equipment Electrical Circuit: 12V Outside Equipment/Extras Electric windlass Manufacturer Provided Description Take all of the fish-fighting capabilities, reliable ruggedness and performance of the 320 Outrage, combine it with the comfort of a luxurious cuddy cabin, and you've got an all-around fishing yacht / cruiser that is unparalleled in its class. In the 320 Outrage Cuddy Cabin, you will find the space and amenities you need to enjoy overnighting, take a break from the sun and just make more of a weekend. 2012 Four Winns S215SS 2012 Four Winns S215 SS Thoughtfully designed for any activity, including sleep. For some, a day on the water is somehow insufficient. If this sounds familiar, please direct your attention to the Sundowner Series cuddy cabins, where a day of boating becomes a 24-hour tour. Explore the open water by day in search of a perfect mooring, weigh anchor at dusk, and prepare your eyes to be flooded by starlight. All is made possible by well-conceived comforts that include a low-profile swim platform, spacious sundeck, cockpit table and cozy v-berth suitable for two. Adventures by day, resting in your quarters by night. Sounds like a mariners dream. 2016 Jeanneau Merry Fisher 855 2 BOATS JUST ARRIVED IN STOCK!!! BLUE HULL WHITE HULL A UNIQUE APPROACH: THE REAL ECONOMICAL CRUISE: The new Merry Fisher 855 is full of innovative solutions. The rear bench seat, mounted on a rail, slides to maximise the size of the cockpit when the engines are lowered, while enabling them to be fully raised at port. The hard bimini top protects the saloon against rain, but is glazed to let the daylight in. The new Merry Fisher 855 is, above all, the only 28 on the market with two closed cabins, each lit by a hatch. The forward cabin also has an “island bed” and pretty sea views through the two hull windows. …with new functionalities. Designed for luxurious cruising with a comfort level never before seen on an 8m boat (two independent cabins for example), the outboard motor is suited for economic cruising. Built for pleasure cruising with large glazed surfaces and unrivalled ease of movement on board, the Merry Fisher 855 is a highly innovative and economical “real” cruiser that will win you over. The biggest outboard powered Merry Fisher… The 855 is the biggest outboard powered Merry Fisher. It has all the features that have made the success of this range: enhanced styling, a traditional, stable and high performance traditional Jeanneau V-shaped hull, significant liveability with numerous berths, a face-to-face salon with sea view, convertible to berths, and a navigation bench for full family sea enjoyment. The cockpit is modular and spacious, ideal for fishing or convivial gatherings with a U-shaped cockpit saloon that converts to a sun deck. In addition, the Merry Fisher 855 has a functional galley and a real bathroom with WC and shower. 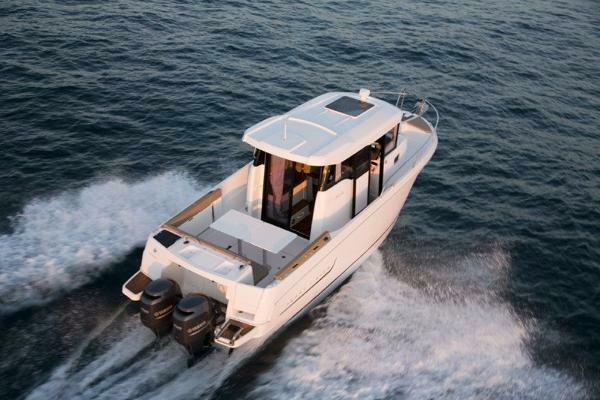 The Merry Fisher 855 also constitutes a transition towards bigger cruising vessels. Innovative styling, large glazed surfaces, a glazed double opening sunroof, a lateral door for the helm station, an integrated side deck for greater safety, easy communication between the saloon and the cockpit, a spacious ambiance are all ideas that reflect the dedication devoted by Jeanneau to the “cruising / on board living” concept. KEY POINTS: Destination: authentic cruising. Designed for comfort, the Merry Fisher 855 combines innovative interior design solutions never before seen on a boat of 8 metres (28' 7"). Adapted for fuel-efficient cruising with outboard engines, she features 2 independent cabins, wide glass surfaces and surprising ease of movement onboard for enhanced cruising pleasure. Innovative and attractive, the new Merry Fisher 855 is a true cruiser. 2000 Sea Ray 215 Express If you are in the market for a cruiser, your search stops here. The Sea Ray 215 Express Cruiser is one of the most popular boats produced by Sea Ray. Molded swim platform, fold up ladder. 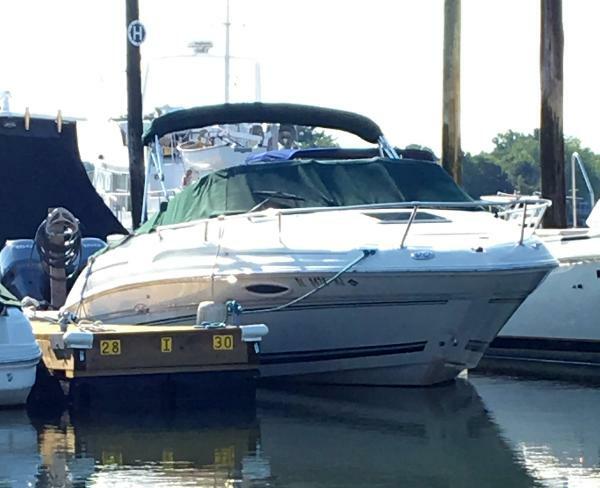 This boat has been personally tested by us here at Danversport, and we love it. This SeaRay 215 Express is ideal for cruising, fishing, overnighting, and relaxing. This is a well-kept boat with snap in carpet, cockpit or on deck table, Bimini top and full canvas aft enclosure with windows that still look new. More than just a cruiser, the 215 performs well and can handle duty as a water-sports boat. It handles chop well, thanks to its deep V hull. It provides generous acceleration with its Mercruiser I/O 250HP engine. (50 Gallon Gas Tank) Electronics include VHF Radio, GPS, Stereo, and Compass. Impeccable for cruising, this boat has seating capacity for 8 people. Most cuddy cabins feel cramped and small, but not this one. There is ample room to move around in the cabin, with enough headroom for four adults to play cards while seated around the standard dinette table. Sleeps 2 adults comfortably. Cabin includes a sink, dinette, and separate porta-potty cabin. 2017 Pathfinder 2200 TRS Pathfinder 2200 TRS 2017 Pathfinder 2200 TRS, Yamaha F200 XCA electronic four stroke outboard, T-top, power pole, battery charger, Ice Blue hull side color and two tone console, 6" jack plate, Yamaha command link plus display console, spring line cleats, Garmin 12" GPS chartplotter, Rod Holders on T-top, Stainless steel rub rail upgrade, fresh water system, raw water washdown, upgrade Edson steering wheel. This is the boat that started the "bay boat" business and it's still the best !!!! Brand new and ready to go ..2 in stock,. 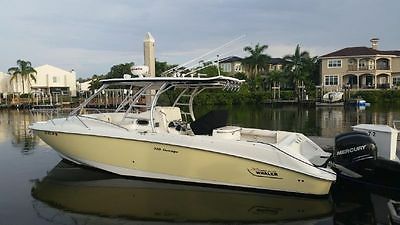 Walker's Marine & Yacht Sales Walker's Marine is a full service boat dealer in Marco Island, Florida, servicing surrounding areas of Naples, Isles of Capri and Port of the Isles. Choose from Pursuit, Jupiter, Scout, Chris Craft, Maverick, Cobia, Hewes, Pathfinder and Regal Boats within our New Sales Selection. Also available: used Center Consoles, Bow Riders, Cuddy Cabins and Convertible Cruisers. Boat Sales, Boat Parts, Boat Service and Boat Brokerage. 2017 Pathfinder 2200TRS Pathfinder 2200 TRS 2017 Pathfinder 2200 TRS, Yamaha F200 XCA electronic four stroke outboard, T-top, power pole, battery charger, Ice Blue hull side color and two tone console, 6" jack plate, Yamaha command link plus display console, spring line cleats, Garmin 12" GPS chartplotter, Rod Holders on T-top, Stainless steel rub rail upgrade, fresh water system, raw water washdown, upgrade Edson steering wheel. This is the boat that started the "bay boat" business and it's still the best !!!! Brand new and ready to go ..2 in stock,. 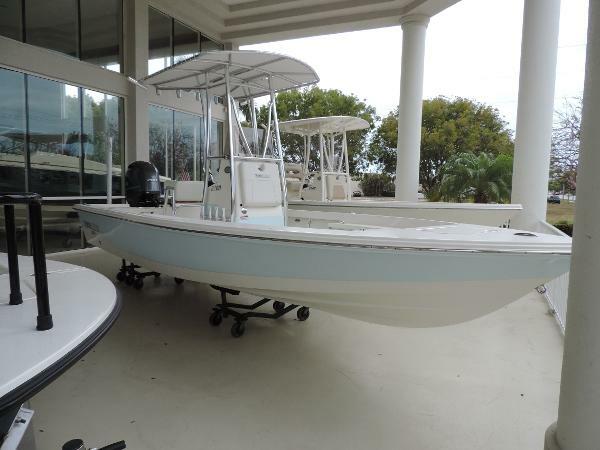 Walker's Marine & Yacht Sales Walker's Marine is a full service boat dealer in Marco Island, Florida, servicing surrounding areas of Naples, Isles of Capri and Port of the Isles. Choose from Pursuit, Jupiter, Scout, Chris Craft, Maverick, Cobia, Hewes, Pathfinder and Regal Boats within our New Sales Selection. Also available: used Center Consoles, Bow Riders, Cuddy Cabins and Convertible Cruisers. Boat Sales, Boat Parts, Boat Service and Boat Brokerage. 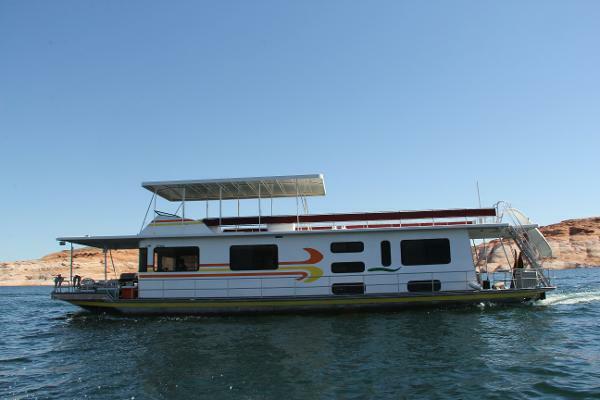 1988 Hilburn Houseboat Boat is a 1988 Hilburn. 58 ft in length, 14' wide. Powered by two 4 cyl Volvo Penta I/O's. 12.5KW generator. Fuel tank for each engine, generator, and toy tank(4 total), capacity of 320 gallons. 150 gallon fresh water tank. 162 gallon holding tank.Two Norcold 7.5 cu ft refrigerator/freezers and a chest style freezer. One and a half baths,master stateroom, three cuddy cabins, shower on rear deck, full kitchen. Upper deck is fullycarpeted, partially covered with an aluminum framed canvas cover. Wrap-around railing. Flybridge and winch on top deck. 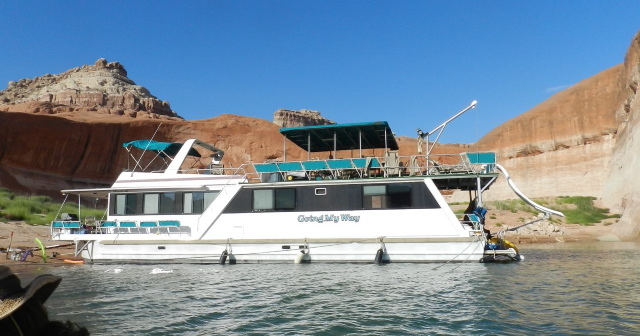 Currently the boat is out of the water and stored in Page, AZ.